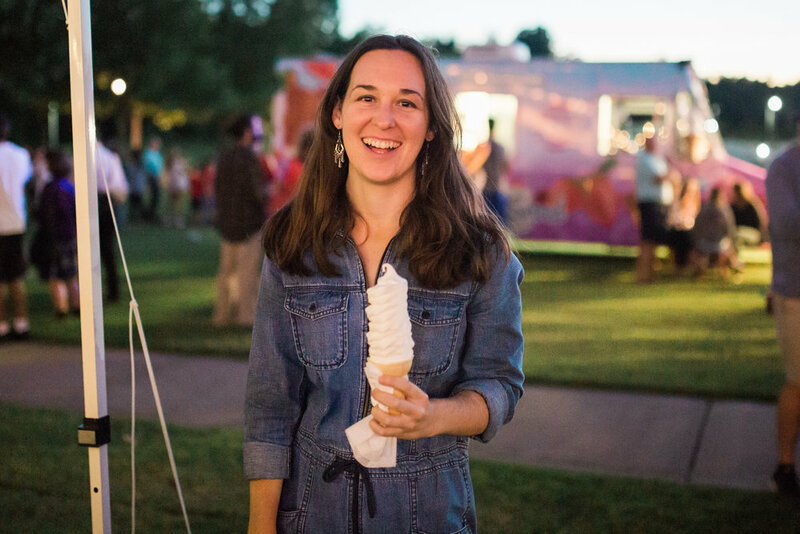 Stacey Fain’s journey to opening her own ice cream truck started when her husband asked her what her dream was. Just a few hours after that conversation, they were searching for the perfect truck to get started! 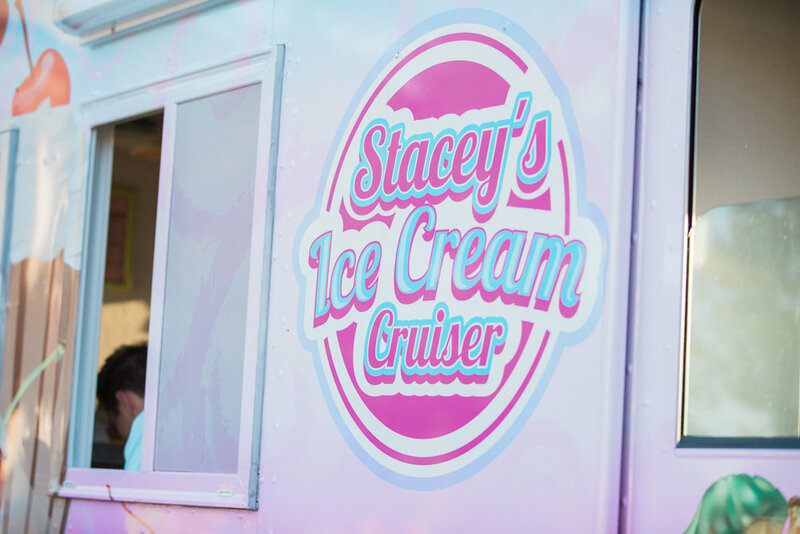 Although they also serve banana splits, sundaes, and shakes, as well as dairy- and gluten-free packaged products, Stacey’s Ice Cream Cruiser is best known for their delicious soft serve ice cream in chocolate, vanilla, and twist. What makes Stacey’s ice cream so distinctive (and, frankly, better than most) is that their mix is at least 10% milk fat, giving it the most perfect creamy texture. For their other desserts, they make their own strawberry, pineapple, and wet walnut topping as well as the toasted almonds and pecans. Lots of hard work goes into making a good treat from Stacey’s Ice Cream Cruiser, and with prices ranging $2 to $5.50, you’ll be sure to get the bang for your buck. For about a year and a half, Stacey and her family worked on remodeling the truck they purchased. After basically gutting the truck and starting from scratch, they were finally ready to start serving in April of 2016. “What started out as the dream job for me has turned into a wonderful way for my daughter Shian to follow her dreams and help pay her way through college,” Stacey says. Shian is studying to be an art teacher and helps run the truck when she is home from school. When she is away, Stacey and her mother, Debra, operate the business. 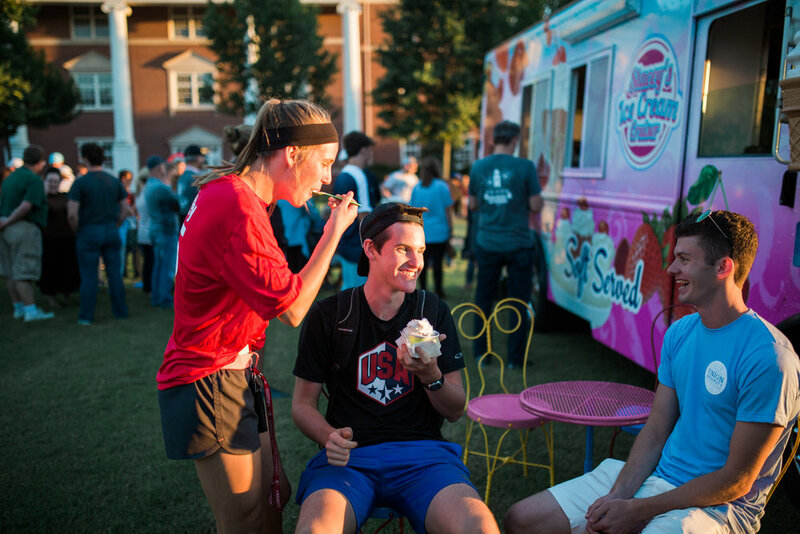 These three generations are working together to serve ice cream at events across the area. Stacey’s Ice Cream Cruiser is available for parties and events in Jackson and surrounding areas. To learn more, visit their Facebook page or call 731.394.9865.